Installer owned and operated by Mark Bolts with over 35 years serving Idaho’s flooring needs, Treasure Valley Floorcoverings is a company you can trust. Mark brings his experience to help you find flooring options that fit your budget, while adding value to your home and giving you great looking floors for years to come. Mark Bolts is the owner of Treasure Valley Floorcoverings and has been involved in all aspects of the floor covering business since 1983 when he was honorably discharged from the US Navy. With over 35 years of design and installation experience Mark brings with him knowledge not often found in large chain stores. He has a background in design and offers a common sense approach to design and making sure you will love your floor for years to come. With his superior craftsmanship and competitive prices you can be assured that you are getting the best service possible. 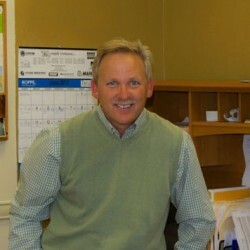 Mark opened Treasure Valley Floorcoverings in 2006 and continues to improve and expand his business everyday by running his company with integrity and keeping the best interests of the clients in mind.